What is a Revocable Living Trust, and why are so many people getting them? Is it true that everyone should have a Living Trust? Aren’t Living Trusts just for the very wealthy? Is there any difference between a Revocable Living Trust, a Family Trust, and any other kind of Living Trust? People have a lot of questions, and a lot of misconceptions, about Living Trusts. For the most part, people use them to avoid having to go through a probate case when they have died. In some states, the probate system is so bad that it is probably true that everyone there should have a Living Trust. Here in Alaska, the probate system is not as bad as it is elsewhere, but it can still be an expensive and time-consuming process. In addition, it can worsen family conflicts, and it means that there is a public record of your entire estate which anyone can view. The basic concept of a Living Trust (also called a Family Trust or a Revocable Living Trust, they are the same thing) is that you create a set of rules, and then you place your assets under that set of rules. Typically, one of the rules is that you are the “trustee” (that is, the manager) of the trust as long as you are able to do so, and another rule is that somebody you feel comfortable with, is the successor trustee when you die or become incompetent. Another rule is that you can use the assets in the trust any way you want. Still another rule is that if you become unable to manage your affairs, the successor trustee uses the assets in trust to take care of you. And very importantly, you make a rule saying who gets your assets after you die, and when they get them. If you have a Living Trust, you avoid probate by putting your assets into the trust. The trust does not die when you die, it just goes on living with a different manager. A Revocable Living Trust can be amended (changed) by the creator of the trust (the “Grantor”) at any time. So if you set up a Living Trust, and then the law changes, or one of your heirs becomes a problem, or you have a falling out with your successor trustee, you simply amend the trust. It is a very easy process. 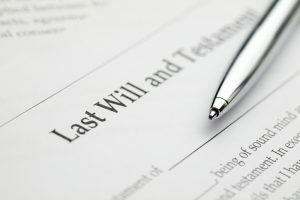 A Will is a document which directs the probate court, as to what you want to happen with any assets which have to go through probate. Not everyone, at least in Alaska, needs a Revocable Living Trust. When deciding whether to recommend a Living Trust, attorney Kenneth Kirk looks at a variety of factors. Do you own your home or other real estate? Do you have out-of-state assets? Do you want to make sure your younger heirs do not receive their entire inheritance at the age of 18? Are any of your heirs irresponsible, or struggling with addiction issues? Do you have a reasonably large estate (more than $200,000)? Are any of your heirs disabled and on public benefits? These factors and others may cause Mr. Kirk to recommend you have this kind of Family Trust. Of course, the final decision is always yours. The best way to find out whether you should have a Revocable Living Trust, if you live in Alaska, is to have a free initial consultation with Kenneth Kirk. There is no cost or obligation for the initial consultation. Contact us if you are interested in setting up an appointment.